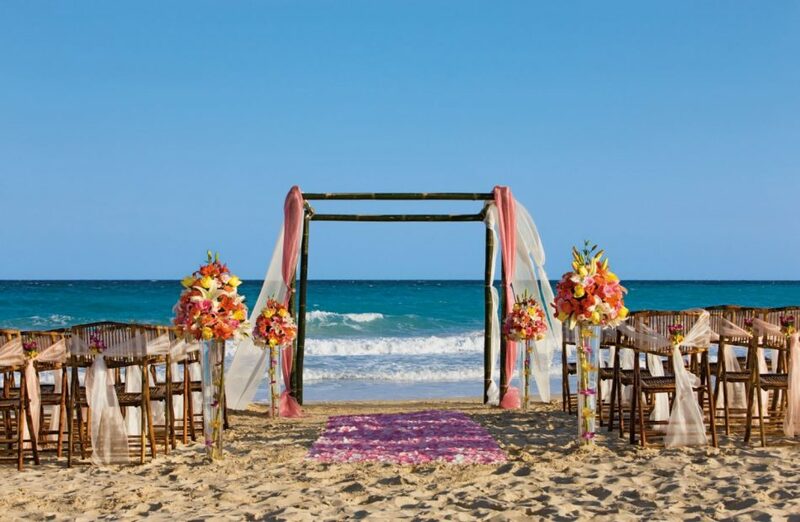 The search for a perfect destination wedding resort is equally fun and challenging. With several destinations to consider and hundreds of resorts at your fingertips, it can seem impossible to decide which one the best is. Luckily the first thing we with our clients is talk them through what is and is not important to them and their group to learn about matching them with the perfect resort fit. Myself and the Weddings by Funjet team had a recent opportunity to visit Now Jade in sunny Riviera Maya, Mexico and we all fell head over heels in love. A great resort overall, this hotel has a lot to boast, and doesn’t break the bank either! While the price and location are perfect for anyone from anywhere, there are many other reasons why Now Jade is the ideal resort to host your own destination wedding at. Yes, ALL ages. Whether your nephew just took his first steps, or your great aunt just celebrated her 80th, this hotel is the right fit. There are kids programs from ages 3 and up, and for the adults, endless activities! The resort is a medium size, perfect to get around easily but still big enough where you can find alone time to enjoy the crashing waves and tropical bliss. Now Jade has a vast variety of venues for your dream wedding. 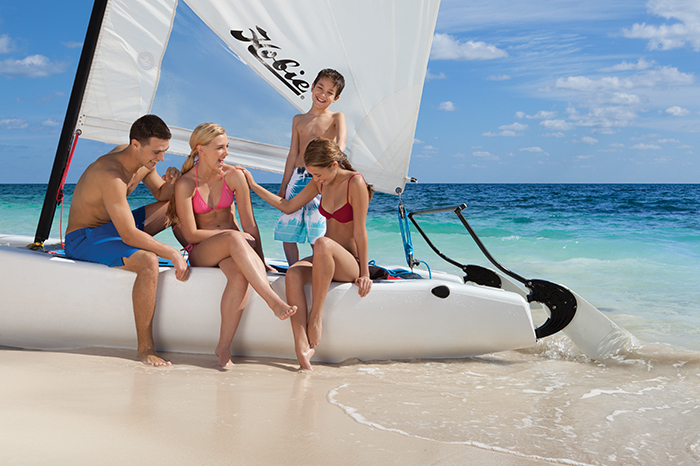 If you’re looking for an ocean backdrop but without the sand, no worry! Want a jungle atmosphere for your reception? No problem. Looking to have a traditional lawn ceremony in the garden? Well, they’ve got it. Feeling classic and want your toes in the sand? Of course, there is the beach! Don’t forget the large number of air conditioned restaurants and ballrooms also at your disposal. You know as well as I do, every hotel has a variety of bars. But at Now Jade, we love “The Mix Bar” located at the beach. 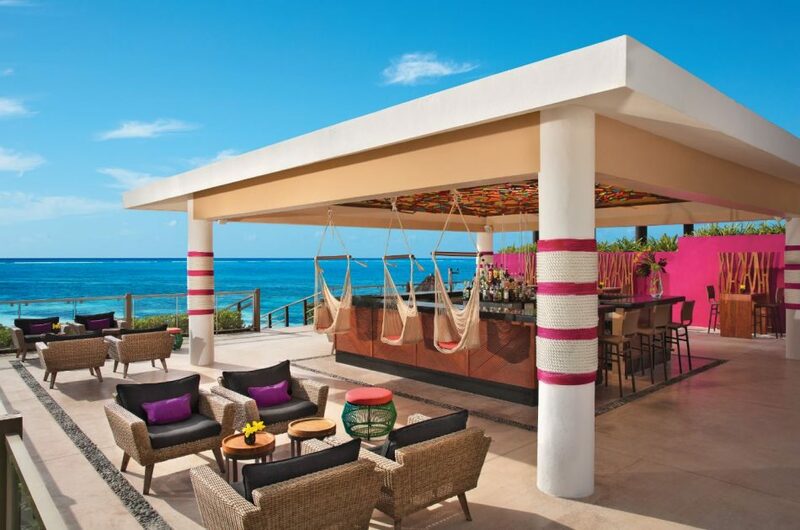 Complete with fun swings, fruity cocktails and the best beach views in the house! Best of all, we have to mention that this bar is located next to most of the wedding venues, so it makes for the perfect cocktail hour location in between ceremony and reception times. I mean it! The room décor here is the perfect combination of fun and festive combined with traditional. You’ll find dark wood finishing’s on the furniture paired with bright eye-catching designs on the headboards and throw pillows. It’s the perfect way to feel modern and tropical the moment you enter your room no matter if you’re an adult or a child. Now Jade’s in house wedding coordinator J. Castillo has his own wedding focused Insta account and is one of my favorite industry accounts to follow. Follow him at @jccastilloweddings and I promise you won’t be disappointed. Instagram stories are frequent if not daily, and he still posts on the regular. It’s the perfect way to feel inspired and completely jealous at the same time because all of the pictures are magnificent. This isn’t a sales pitch, I promise. I am telling you that every aspect of the Preferred Club is worth the upgrade. You’ll be spoiled the moment you arrive with VIP check in in a private lounge that has air conditioning, snacks, and booze. Move to your room where you have the best location in house, and excellent ocean views. Preferred club members have a whirlpool on their balcony, and upgraded bath amenities to enjoy after. Best of all, the Preferred Club has its own beach and pool locations with exclusive staff to keep your margaritas and cervezas full. Both areas come with bali beds and hammocks to enjoy. Especially if you are traveling with a group, you may wonder what everyone will do to keep busy (as if the pool and swim up bar weren’t enough already!). Fear not because Now Jade has endless activities throughout the day. You can start your day with a morning Yoga Class, crush some balls at the driving range, get competitive with some beach volleyball followed by beach soccer, and then end your night with the evening shows. Notably, the sports bar turns into a night club after 10pm for adults only! 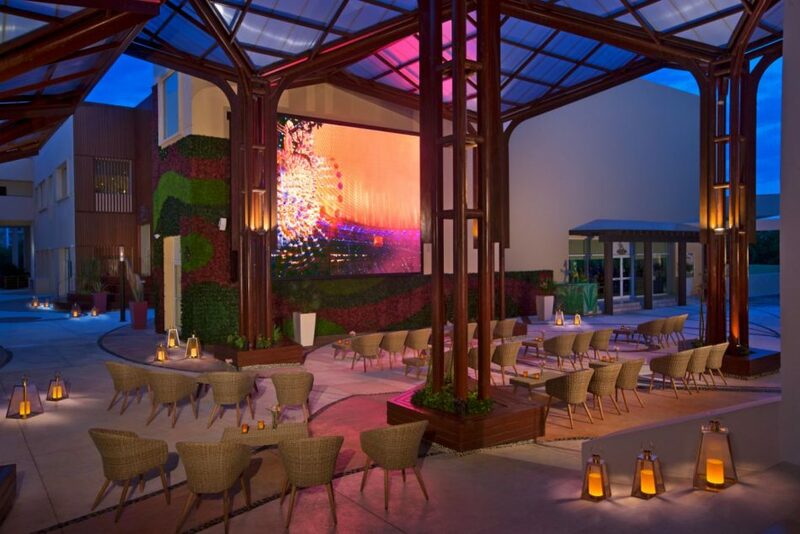 The Now Spa by Perovia is something to talk about. Whether you plan to get ready the morning of your wedding, or schedule a relaxation massage the day after, the spa is the place to be. 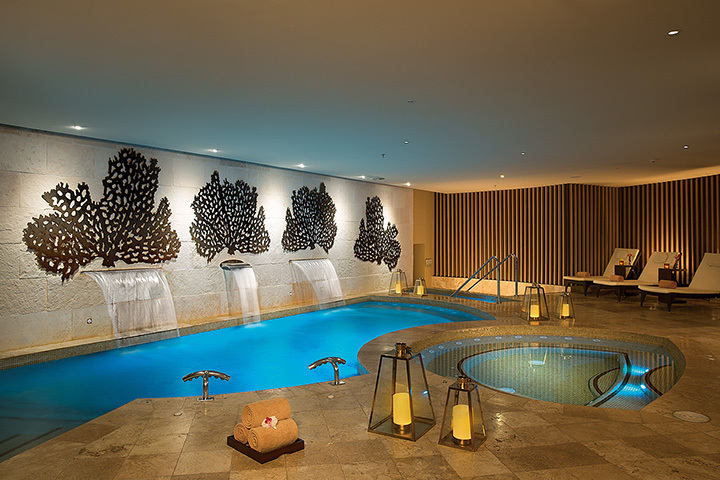 Clean, cozy, and expansive, the spa can spoil you each day of your stay. With more than 4,800 square feet, you can enjoy everything from hydro-therapy to facials, and massages to fish pedicures. They even offer spa services for kids and teens who want to join in on the fun too! Looking for a culinary adventure? Now Jade has it! 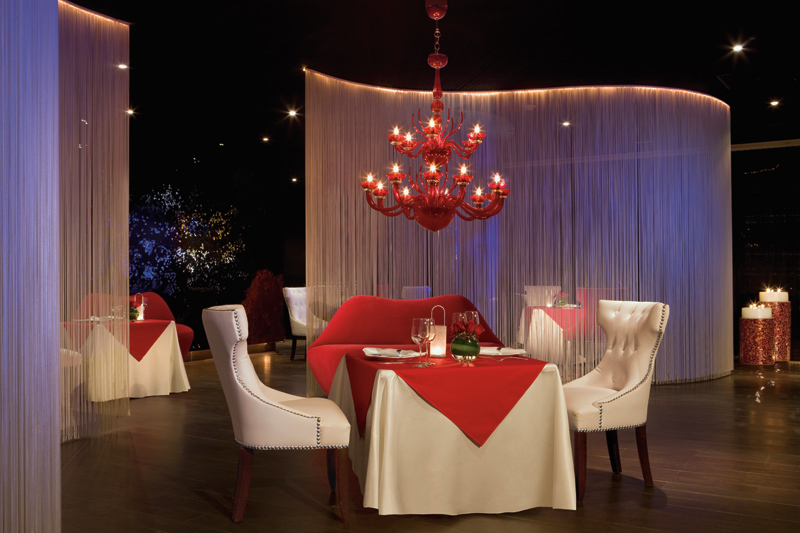 There are no reservations required to enjoy their 6 a la carte restaurants, buffet, and café. Just walk up, walk in, and enjoy! 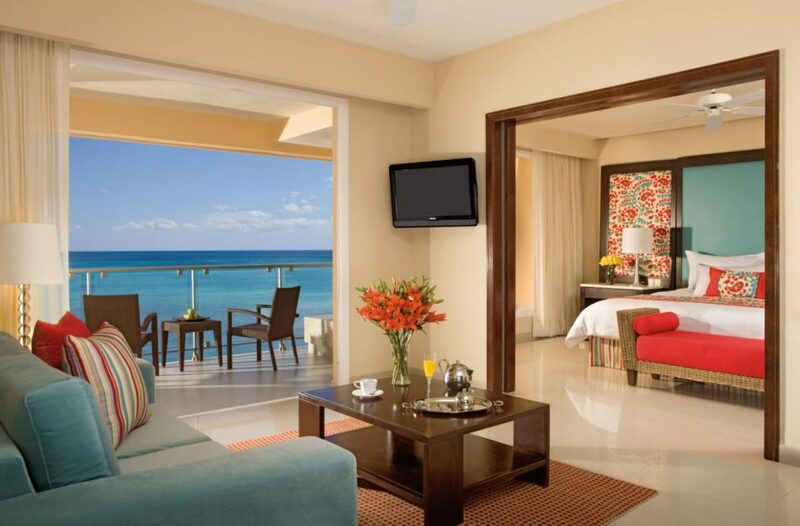 If you had too much fun in the sun, there is also the 24/7 room service included for all guests. Restaurant styles include Mediterranean, Italian, Mexican, Asian and even Caribbean! Don’t ask us to pick a favorite because it would be much too difficult. You read that right. We saved the best secret for last. 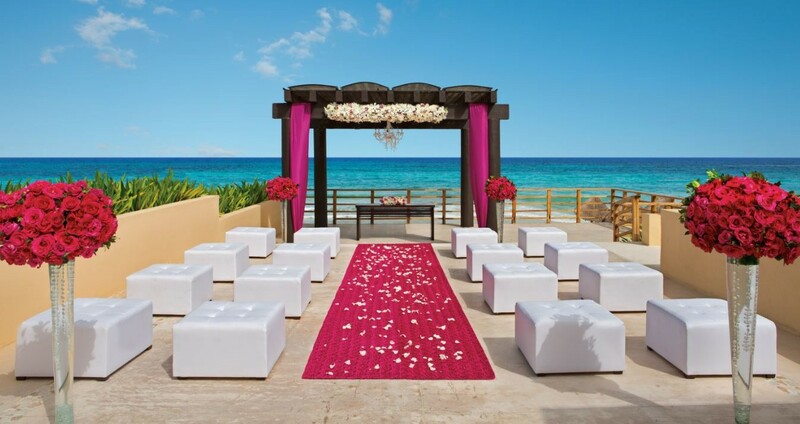 If you book your destination wedding at Now Jade through Weddings by Funjet, you can earn a complimentary cocktail hour to use as your Welcome Cocktail Party for your entire group. Contact Weddings by Funjet today because this deal is too hot to last long!